This started out as one of those weekends where we had a lot going on. We had a dinner out on Friday with a group of friends, games night at our house on Saturday with another group of friends and then Joe's commuting colleagues coming over on Sunday for a homecooked meal and the Gabon vs Mali quarterfinal game. With the exception of the Friday night dinner, everything else ended up cancelling at the last minute which left us with a nice relaxing weekend at home. 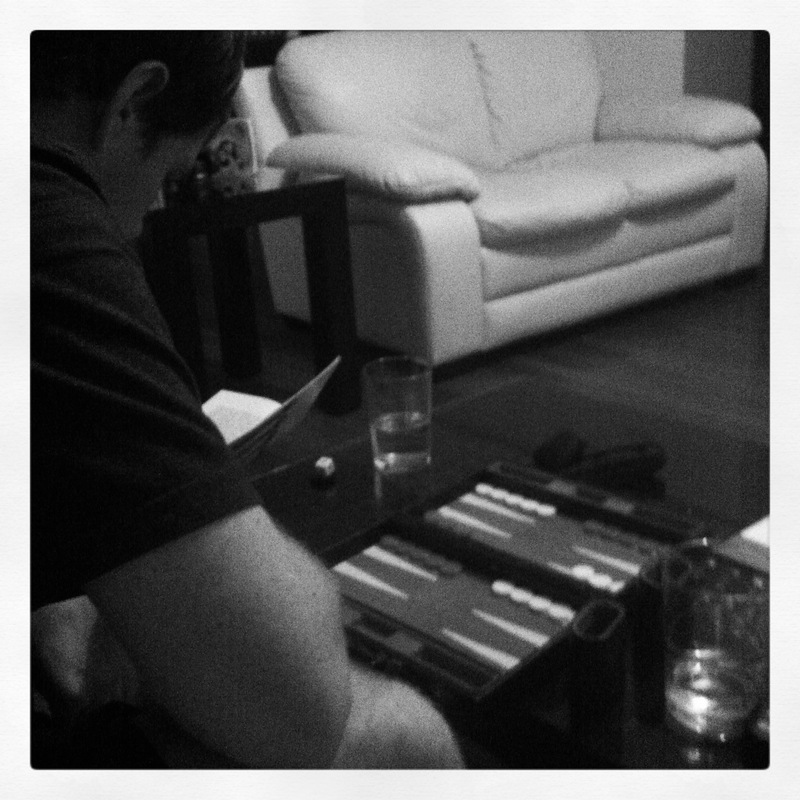 We started our own game night with Joe figuring out how to play Backgammon and then teaching me. 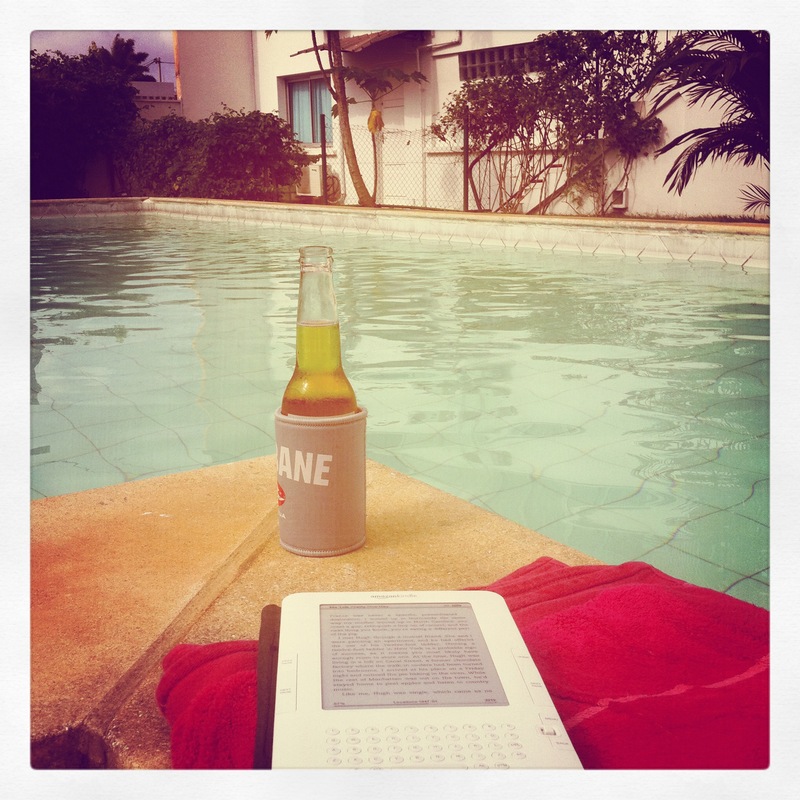 Sunday was spent reading and having a beer poolside before heading in to watch the Gabon vs Mali quarterfinal game. We've let the guard off an hour and a half early to go and watch the game, barred the gate and are enjoying a halftime snack in the still scoreless game.